Unfortunately, I can’t recommend the floam inside. 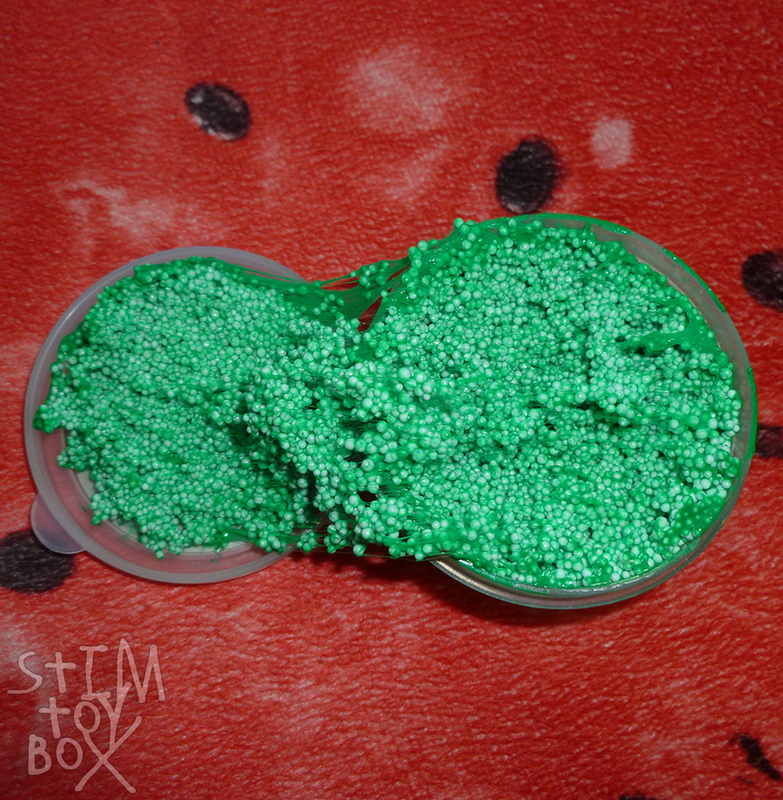 It’s meant for crafting–moulding into shapes and allowing to harden–over stimming. It’s exceptionally sticky, meaning there’s no chance of the foam balls getting anywhere and every chance of having five hundred green slime shreds stuck to my fingernails, knuckles and palms. The problem, though, is that it’s getting stickier with every successive usage: the first few times I used it, I could work the stickiness out, which is common with slime–it needs a little kneading to come together. Now I can work it for half an hour and it gets no less sticky, and there’s more and more shreds of slime stuck to my hands afterwards. Nor do the shreds easily come off–trying to pluck them off with a small wad of the floam just leaves more bits on my hands. While this is cheap and the container is great, the truth is that I’ll reach for my off-brand Thinking Putties over this because I cannot abide the stickiness. Unless you plan to use it for crafting or you like sticky slimes, I wouldn’t bother with this. Originally posted on @stimtoybox on September 2, 2018. 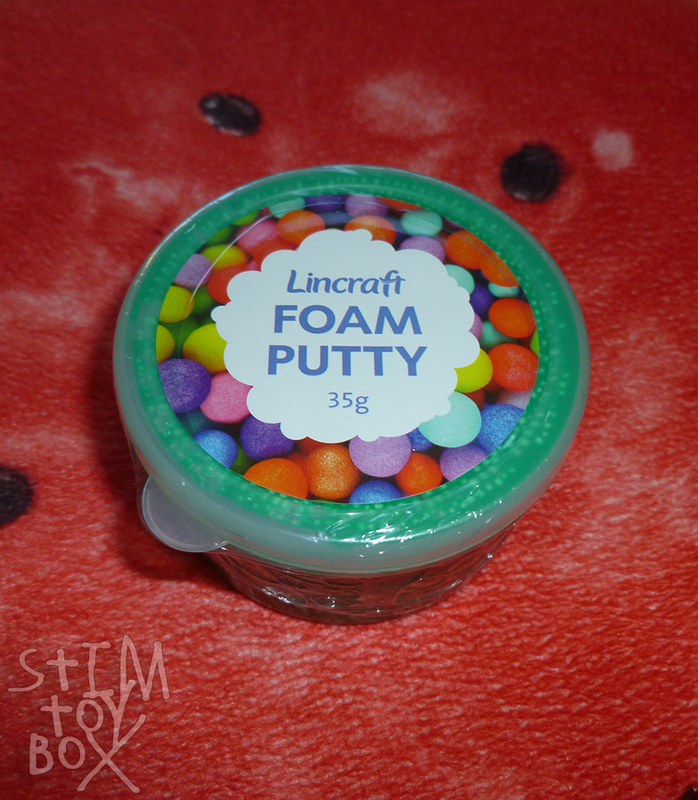 This entry was posted in Reviews and tagged Australia, floam, Lincraft, putty, review, scented, stim toys, stimming. Bookmark the permalink.